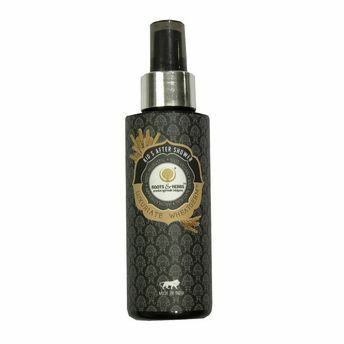 Roots & Herbs Wheatgerm Luxurious After Shower Oil for kids includes pure, naturally distilled essential oils in cold pressed base oil blend. Delivered from a variety of plants, fruits and nuts, to leave the toddler's skin soft, supple, silky smooth and beautifully hydrated. The blend not only keeps the skin smooth, supple but also leaves it lightly fragrant. About the Brand: One of the leading manufacturers of Ayurvedic and aromatherapy beauty and skin care products, Roots & Herbs is an environment friendly and ethical natural wellness brand. The brand products are 100% vegan, free from animal derivatives, preservatives, chemicals and the brand uses only premium quality herbs, oils and natural herbal extracts in their formulas. Explore the entire range of Creams, Lotions & Oils available on Nykaa. Shop more Roots & Herbs products here.You can browse through the complete world of Roots & Herbs Creams, Lotions & Oils . Address of Mfg / Importer / Brand: B3-66/A/D/NEW, BUDGE BUDGE TRUNK ROAD, 3RD FLR., MAHESHTALA, OPP. TATA MOTOR LEXUS, KOLKATA - 700141, W.B.